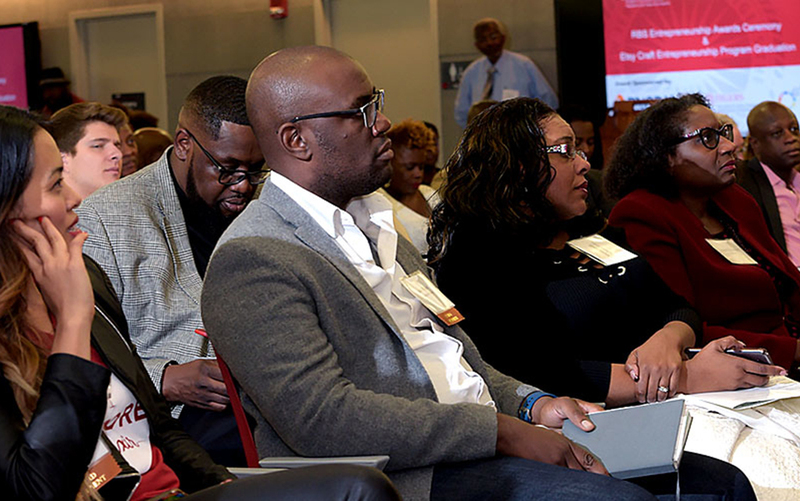 The Rutgers University Center for Urban Entrepreneurship and Economic Development (CUUED) has launched the Council for Urban Entrepreneurs (CUE) with the intent to provide guidance, inspiration, and educational opportunities for aspiring business owners who wish to build their organizations in urban locales. Lyneir Richardson is the executive director of CUEED. ?Our goal is to bring together successful business owners so we can study them and write case studies about how they impact economic development, create jobs and create wealth in communities,? he told TNJ.com. Marjorie Perry, president & CEO of MZM Construction; Randall Pinkett, co-founder, chairman of BCT Partners; and Marc Berson, chairman of Fidelco Realty Group and founding board member of NJ Performing Arts Center are among the ?founding members? of the Council who are charged with sharing their stories and demonstrating how they build economic activity, support civic causes and drive social change. ?These are people who have been in and around Rutgers for the past 10 years that our Rutgers University Center for Urban Entrepreneurship and Economic Development has been in existence,? says Richardson. Perry, who received a Network Journal ?25 Influential Black Women in Business? award back in 2013, says that mindset has a lot to do with an entrepreneur?s success. ?Most entrepreneurs are more in love with what they?re trying to do rather than understanding the business aspects of it,? she notes. ?So, it?s a question of how to get them to re-train their mind to understand business first, and the idea second – instead of the other way around.? She continues, ?Most individuals aren?t trained to be entrepreneurs, so now they have a learning curve of managing things to absolute leading things. So there?s a whole curve period of being a manager-type to being a CEO/thought leader who can lead the troops to the next level.? Perry contends that failure, which she calls a ?that didn?t work kind of moment,? will help manage the above-mentioned concepts. ?Success in entrepreneurship also depends on how well we manage failure. It?s important not to be too emotionally attached to what didn?t work,? she says. Lastly, Perry asserts that no one is an entrepreneur for at least 10 years into running a business. It?s an idea she will impart during the CUE events. ?During those first 10 years, you?re learning to be an entrepreneur,? she says. ?After that, you?re an entrepreneur because you?ve weathered the highs and lows, ups and downs and have gotten into a consistent rhythm of adaptability at all times. It takes time to get there and sustain it.? MZM Construction was brought to fruition in 1992 after Perry served as a consultant for the two founders who were thinking of launching the company. ?I helped them gather the data to say, yes, that would be a good idea,? she recalls. They asked her to be a partner, and two years later, she bought them out because, says Perry, ?they didn’t understand that entrepreneurship is day in and day out,? or that ?the hustle goes on all the time.? She proceeded to do the ?roller coaster? ride by herself. ?I dealt with the highs and the lows of growing the business, retracting the business, moving the business forward again, retracting the business to now, the steadiness of where it is today.? Her biggest business lesson? ?When I first started, I was not a CEO or a president. I didn’t understand what entrepreneurship really meant. It takes time to go through the valleys, come back up out of the valleys and understand what you learned from it. Also, go back to school and be a voracious learner,? she advises. ?Another thing is to learn to adapt to change. Back in the day, I would hold on to things that were not working; and I knew they weren?t working.? Rutgers will expand the Council of Urban Entrepreneurs with additional members in the upcoming months.? Events will include the creation of a multimedia presentation about participating Council members that will tour throughout New Jersey during the summer.